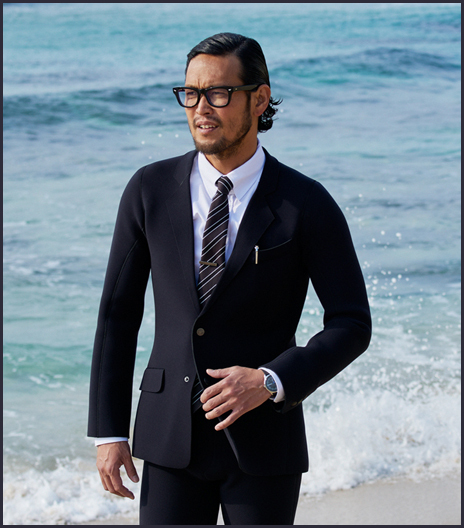 Posted on April 29, 2015, in Cool, Fashion, HOT TREND ALERT, Style and tagged Beach, Board meetings, Business Suit, Business suit is a wetsuit, Fun, Hawaii, neoprene suit, Quicksilver, Quicksilver suit, Summer, Sun, Surf, Surfing in a suit. Bookmark the permalink. 2 Comments. Hopefully they will do the pants-suit version. I’m waiting for the Aloha Shirt and Pants. But thinking about it, the pants might too b a touch hot in my office. But it sure is fun! Thanks for stopping by the site and sharing this. Have a nice day/night. Ah, the mandatory board meeting. If they made one for women–a cool-looking pants-suit, I’m so there. Thanks for sharing. This will be shared on our windsurf clubs facebook face and mine for fun!! Have a great day and thank for the fun post!